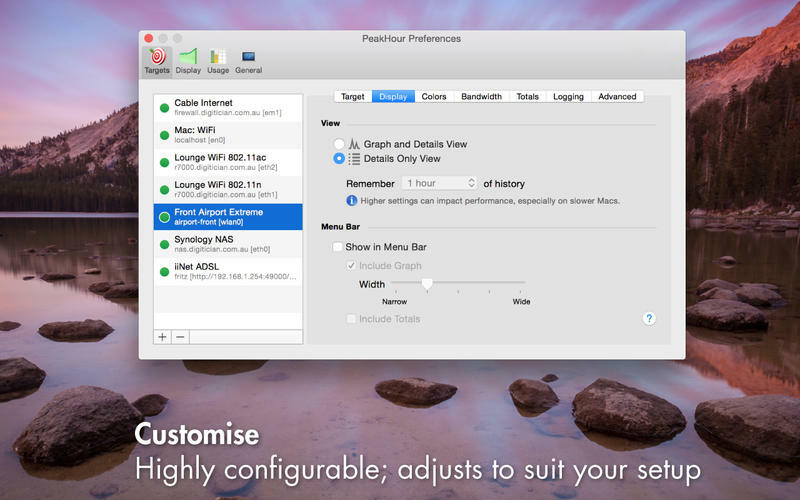 PeakHour is a beautiful, real-time network-traffic visualiser that lives in your menu bar. 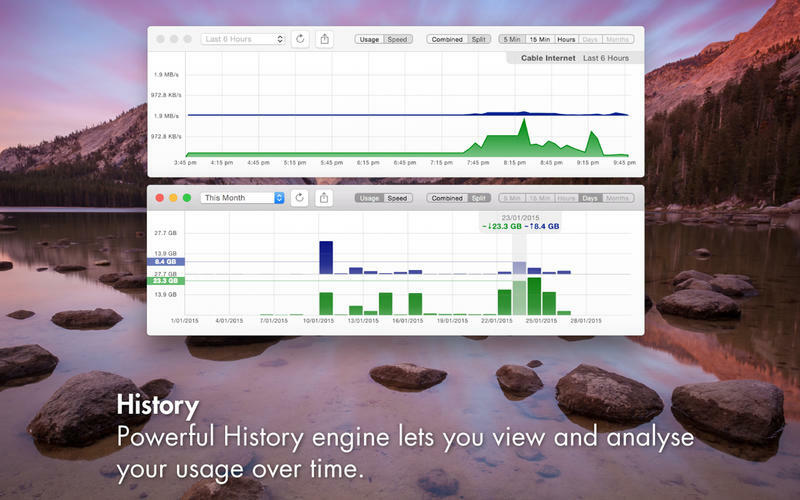 It provides an instant view of your Internet or WiFi activity in real-time. 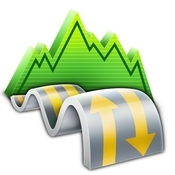 PeakHour is great for monitoring your Internet or WiFi connection, and can help you determine how much bandwidth your computers and devices are using at any given time.